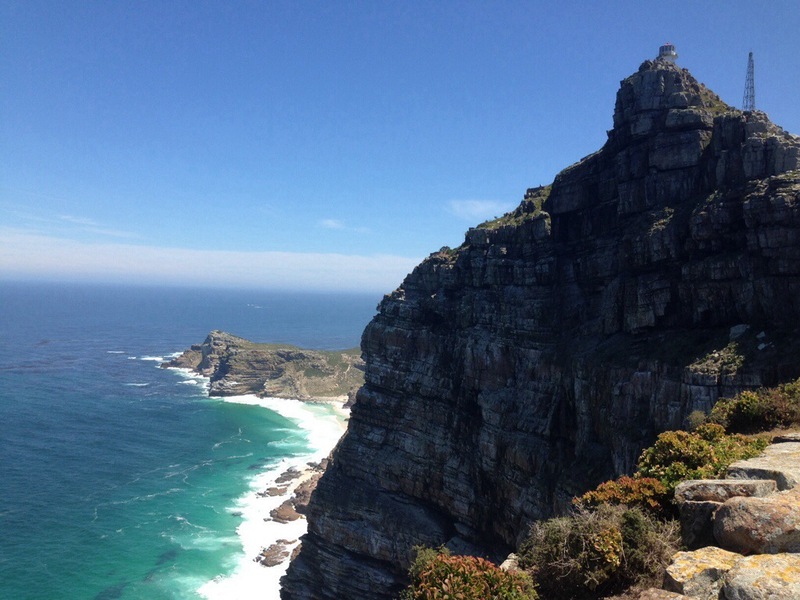 The Cape of Good Hope is the south-western most point of Africa; where the cold Benguela current and the warm Agulhas current meet (and not the oceans). The road actually continues to Cape Point which is where the ships used to get wrecked. The cliffs are more than 200 meters above the sea.